This entry was posted in Cetaceans, Dolphins and tagged Bottlenose dolphin, dolphins, SeaShepherd, SeaWorld, taiji, the Cove, travel to japan by Kirsten Massebeau. Bookmark the permalink. Thank you Heather. I’m so glad to hear you are better informed than I realised, especially considering that your sources must all be in English. Also, those from raucous and inaccurate fund-raising organisations tend to get more attention than the thoughtful ones, which can skew the reader’s perception. I assure you most Japanese people too feel the same about dolphins! Do you know how many dolphin shows there are in Japan? More would know about Taiji if “The Cove” had been made less of a thriller and more of a documentary. It takes a stance that makes Japanese feel they have been attacked themselves, which means it got bad reviews, so people didn’t want to see it. The “anti-Japanese” aspect also got political groups complaining about everything they could find wrong with it, apart from the real problem of dolphinariums! I suspect that business also had a hand in diverting interest. Anyway, it is regarded as a piece of propaganda here, but is mostly forgotten. “thumbing their noses” ? Maybe at the activists actually IN Taiji. I don’t think they are very conscious of the rest of the world. They just don’t get that kind of information in their daily media. I think you’ll find that they distribute the meat among local families and eat it themselves, so their is no real understanding of the pollutant dangers. Also there is not much evidence of any actual damage among the residents who eat it regularly, though tests have shown higher concentrations in their hair and nails than is normal. The actual cause and effect data on damage and the doses needed to cause it are still not very well documented. Like smoking, there are too many people who have survived to a ripe old age, and such anecdotal evidence is more convincing to the layman than real scientific research. They don’t see the disconnect there. But have you compared how hunters and fishermen treat the animals they kill, stuffed heads on the walls, and photos of that huge marlin, etc? Then there are the meat markets of the west; the farmers are proud of and love their cattle and other animals, but they are eventually slaughtered for food. More humanely than the dolphins at Taiji, usually. But I presume people don’t demand Halal meat where you live. A quarter of the world’s population does! 2) that foreign presence in Taiji makes the problem seem to be one of cultural differences nd miscommunication. It will not draw the general Japanese population, in particular the dolphinarium audience, into solving the problem. That’s why there are few Japanese NGOs involved. Things look different from over here, but only if you get your information in Japanese…..
An e-mail to this group may well get an response in English if you have questions about data, though there isn’t much visible on their site. Yes, Diane, “The cove movie came out in 2009 and” people around the world are STILL going to dolphin shows! Why haven’t they banned dolphinariums yet? The Japanese too love dolphin shows, so they are guilty along with the rest of the world (except a few countries, such as the UK, which have effectively banned cetacean captivity). They DO need to get involved. In fact, here in Japan we are working on this, but it doesn’t help to have foreign activists accusing. Having the same goals as “extremist groups” makes us appear to be connected with them, undermines sympathy for the dolphins and drives people away. Yes, the people of Taiji are fully aware, but that doesn’t mean that they see things in the same way as we do. Muslims believe that they must only eat meat that is” Halal”, i.e. killed in the correct manner, otherwise it is unclean and forbidden. (FYI: There is a Youtube video called “This is Halal” which will show you just how cruel it is.) The people of Taiji (though I’m sure there are some who differ) have a similar attitude to dolphins; they are another bounty of the sea, along with seaweed, octopus, seaslugs and numerous other foods that westerners might not consider food. I don’t think we can expect the hunters of Taiji to suddenly abandon dolphin simply because WE don’t like it, and more than Muslims can be expected to abandon Halal, or for Catholics to start using alcohol-free wine in their “Communion”. I often hear criticism that Japanese NGOs are making no progress, but one big reason for that is that they are continually being undermined by the antagonistic efforts of foreign activists. As far as progress is concerned, peaceful efforts by such as Ric O’Barry to stop the hunt in Taiji have been going on for decades but have yet to stop the hunt. On the other hand, the hunters HAVE responded to pressure and made attempts to reduce the cruelty of the killing, though the effectiveness of these is questionable and has even been accused of being merely a device for hiding the slaughter. There is a big problem here that many of the foreigners who visit Taiji (and, I suspect, MOST of those who support those who come) are not aware of the Japanese media except through highly selective sources such as SSCS. For example: You may have heard rumours that donations for the tsunami disaster were being used for whaling: this was not only a complete fiction, but even went so far as to quote my translation of the relevant government announcement (which was about the use of government money) as proof! I too want the slaughter in Taiji to end, so please help me: The best way you can help is to SUPPORT Japanese NGOs with the same objective, so that they can keep their own house in order. Meanwhile, please work to end the very existence of dolphinariums in your own country. Whether or not the dolphins there actually came from Taiji or not is irrelevant. 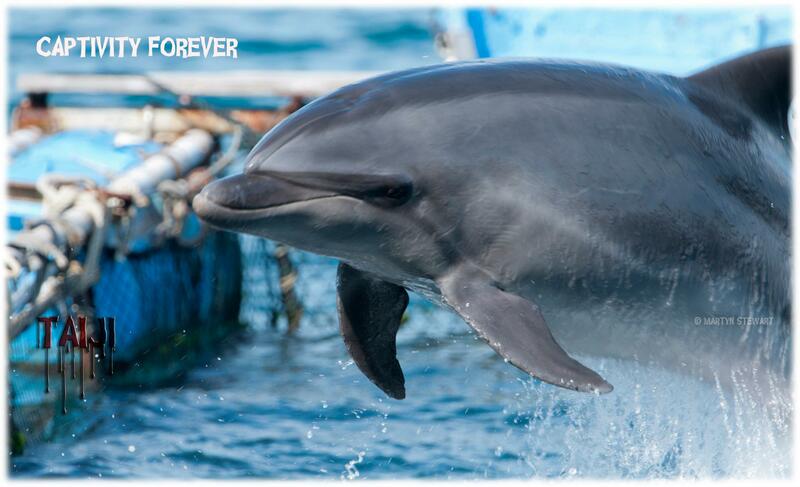 Taiji is only one of the worldwide suppliers for a worldwide market. I appreciate your passion, Heather, and would love to stop the slaughter at Taiji. If you would help me, we could do it sooner. But the current protests are merely building sympathy for the hunters among the people who could most easily stop them; the Japanese people. What I am suggesting is that there are more effective things you can do to help the dolphins than tell the world that “the Japanese” are to blame for Taiji. It is the millions of visitors to dolphinariums, both in Japan and around the world, that need to be told about the connection between their favourite show and the barbarity at, not only Taiji, but in the Solomon Islands and other places. Statements such as “they (Japanese)are cruel and heartless” miss the point, and demonstrate a severe lack of knowledge of Japan. There are only 23 men licensed to kill the dolphins and almost 130,000,000 people in Japan. Are they all to blame for the fault of a few? What about the 10,000 dolphins a year that are HARPOONED in the the north of Japan? What about the hundreds drowned every DAY in the nets and hooks of tuna and other fisheries, or drowned in fish traps near the shore around the world? Everyone who eats tuna is complicit in this, just as everyone who visits Sea World or the like is complicit in the cruelty at Taiji. THAT is what the world needs to be awakened to. Taiji is just the tip of the iceberg. How is this possible? The cove movie came out in 2009 and the slaughter is still going on more now then ever. What’s going on?? Heather Hintz might have a point. I continue to ask myself is this senseless slaughter ever gone to end?? The bottom line i believe is the japanese people need to get involved. The governman black out the media so the japanese people is not exposed to this cove. It’s up to the japanese people to stop this. I’m confused, it’s hard to believe that the Taiji community does not know that this is gone on.Could somebody give me some insight on this subject please? I, along with the rest of the “Caring World” are so very sad at the huge losses suffered by the dolphins(and us; the ones who care), as well as having the utter helpless feelings and knowing that as of right now, no one can save them from the MONSTERS. Semi-unrelated comment to follow. Does it seem to be strange coincedence that shortly after all the Japanese Embassies and Consulates in the World received a Japaneses language copy of The Cove sent to them (at the same time as the Empire State Building was lit up for Dolphins),that they started persecuting the Dolphin watchers and friends of the dolphins and whales. Just think about that? Were they really uninformed as to what was going on in the COVE, and now that they know how the Cove movie was done and the real impact it could have on the rest of the world, they are now more dillegent and ruthless? I wonder, do you? Oh horrible morning, oh morning of dread! And even the sun is eerily red. When life is no longer a choice any more. Very good words, your passion and pain of these past few week’s, months and years of this atrocity. I am right with you. Happy freaking holidays!! Hopefully a good portion of dolphins pass by this horrible place and over the next few weeks. And may all of the captives from this season’s and the ones past, have found some sort of peace. I love them.